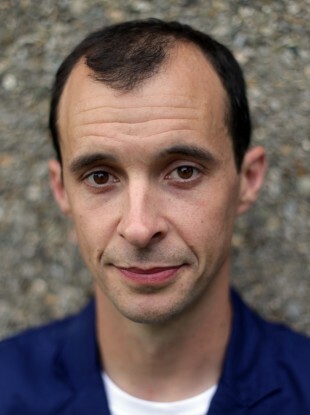 The listener took issue with a clip featuring Love/Hate character Nidge. THE BROADCASTING AUTHORITY of Ireland has dismissed a complaint over the playing of an expletive-laden clip from RTÉ drama Love/Hate on 2FM. A listener complained to the TV and radio watchdog that he was driving with his young children when the snippet, featuring lead character Nidge, was aired on presenter Dave Fanning’s Saturday morning show. The complainant said that the programme’s editors should have been aware that the “violent and explicit nature” of the clip – which was played on 24 January during a discussion on Love/Hate - would have disturbed children listening in on morning radio. He said, given the time and day of the broadcast, that 2FM had not considered the likely composition of the show’s audience. In response, RTÉ stated that the clip lasted only 17 seconds, while the discussion item itself ran for over 16 minutes. The broadcaster said that the clip was played eight minutes into the segment, at which point listeners will have been aware of the nature of the discussion. It added that the programme in question attracts an older audience that expects adult-focused content, especially given that it airs on 2FM, a station targeted at those aged between 25 and 44. The BAI noted that the clip featured no depiction of violence and that it formed part of a longer segment on a show targeted at older listeners. However, it asked RTÉ to consider issuing a warning before future items featuring strong language. Email “Dad angered by 'offensive' Love/Hate clip on 2FM”. Feedback on “Dad angered by 'offensive' Love/Hate clip on 2FM”.